Are you aware that spending time outdoors in the natural environment can improve your physical, mental, and social well-being? 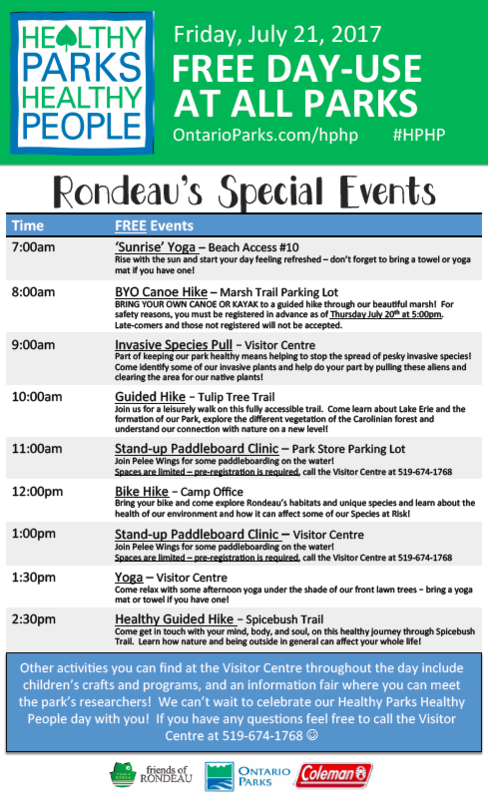 Come out to Rondeau Provincial Park on July 21st for free day-use admission and participate in some of our special healthy events we planned just for you! We have yoga, paddleboarding, bike hikes, and guided hikes scheduled throughout the day. Call the Visitor Centre at 519-674-1768 if you have any questions.